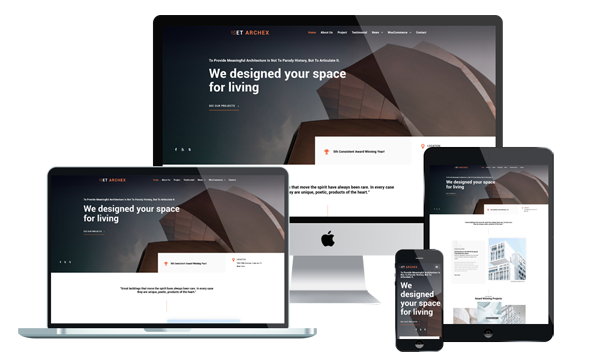 ET Archex is Architecture WordPress Theme that targets for Architecture websites. The Architecture WordPress Theme is the right category if you want a website for an architectural or building company. It builds with Genesis Framework, shopping cart support by WooCommerce. Being 100% responsive, these website layouts render well on multiple digital screens and resolutions. Owing to their SEO-friendliness, websites based on Architecture School WordPress Themes rank high on the modern search engines, which ensures better online visibility for your resource. You can check out its layout and get all the characteristics of the theme before you purchase it. All it takes is selecting Architecture WordPress Theme and reap the benefits of your work immediately!